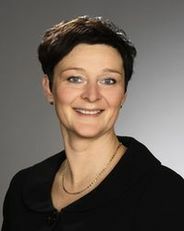 Dr. Birgitta Wahlberg - researcher at Åbo Akademi University in Finland/Department of Law (public law). Her doctoral thesis from year 2011 was on Legislation and Supervision of the Welfare of Farm and Slaughter Animals. She has also published several articles on a variety of animal law topics. After her dissertation she worked as a substitute for the professor in public law at the university. During 2013 Dr. Wahlberg spent six months in South Africa as a guest researcher at SAIFAC/ University of Johannesburg. She is a skilled speaker both nationally and internationally. Her main research interest is the legal status of animals in different legal systems and its impact on (farm) animals in practice.